Former prime minister Najib Razak at the Kuala Lumpur High Court today. 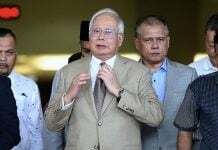 KUALA LUMPUR: The prosecution in the trial of former prime minister Najib Razak involving RM42 million of SRC International funds today objected to the defence application for the first witness to submit three additional documents at the hearing. Lawyer V Sithambaram, who was appointed as a deputy public prosecutor, said the court should consider whether the additional documents are relevant for submission for the purpose of cross-examining the first witness, Companies Commission of Malaysia (SSM) assistant registrar Muhamad Akmaludin Abdullah, 35. “Section 51A of the Criminal Procedure Code clearly states that the court should consider whether the documents to be submitted are acceptable in this court, and whether there is a need for the documents to be used in court to cross-examine the witness,” Sithambaram said on the second day of the trial today. 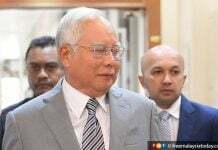 Lawyer Harvinderjit Singh, representing Najib, argued that the documents must be presented first, after which their relevance will be decided. 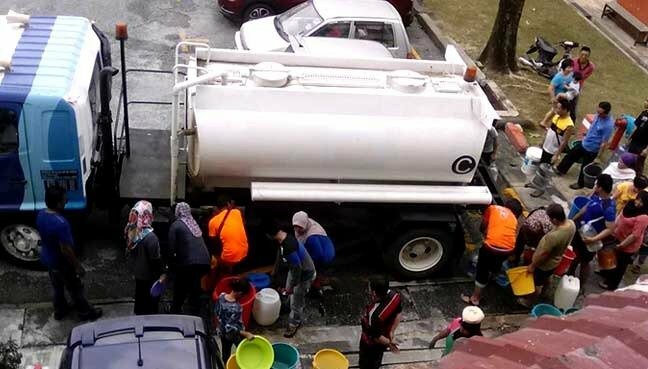 High Court judge Mohd Nazlan Mohd Ghazali ruled that both sides would scrutinise the documents before submitting them to the court. At the hearing on April 3, Harvinderjit asked Akmaludin to conduct a search of Yayasan Rakyat 1Malaysia to obtain the details of all individuals who had served as directors there. 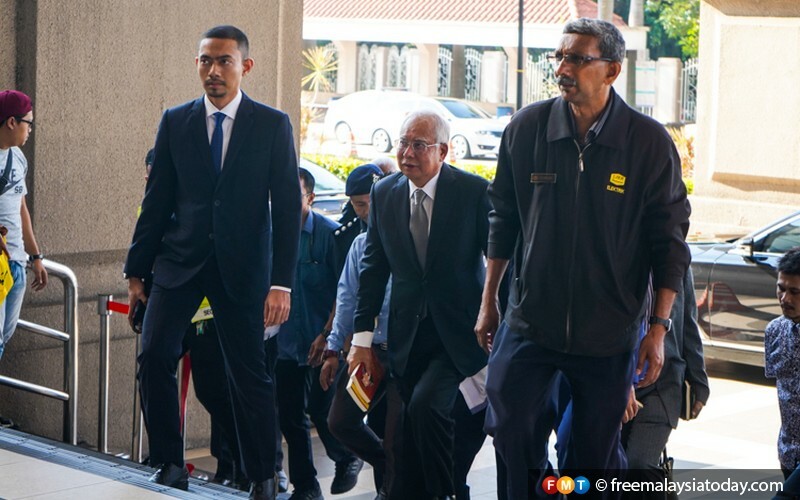 Najib, 66, faces three counts of criminal breach of trust, one charge of abusing his position and three counts of money laundering over SRC International funds amounting to RM42 million. 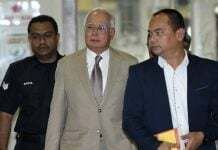 The Pekan MP, who was the sixth prime minister, was charged with committing the offences at AmIslamic Bank Bhd in Jalan Raja Chulan and the Prime Minister’s Office in Putrajaya between Aug 17, 2011, and Feb 10, 2015.